In a rare occasion, Jodi Sta. Maria finally opened up about her personal life and revealed her ongoing romance with actor-turned-politician Cavite Vice Governor Jolo Revilla. On the late night talk show Tonight with Boy Abunda, the 35-year-old actress admitted the real score about her love life, saying, "Naibigay ko na sa kanya ang puso ko." Along with Richard Yap, host Boy Abunda asked the Sana Dalawa Ang Puso stars to choose an envelope during the segment "2 Be Honest." Jodi was asked, "Kung dalawa ang puso mo, sinong dalawang lalaki ang bibigyan mo nito at bakit?" She was then told to give an answer excluding her son Thirdy. The actress paused before gushing, "First time na sasabihin ko. Naibigay ko na sa kanya ang puso ko—kay Jolo. Wala talaga akong maisip. I just had to say it." It was in June 2016 when the two confirmed their breakup. 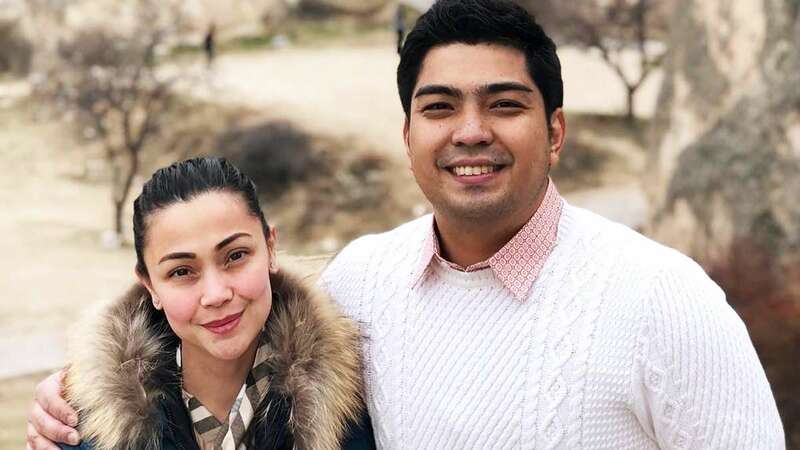 In the past year, while Jolo has been posting photos of the two of them together, Jodi kept mum about admitting that they've gotten back together. In an interview, she said, "Kung anuman ang mayroon ako, ine-enjoy ko lang din muna. Ayaw kong magpa-pressure sa kahit na ano." Jolo's reaction to Jodi's admission showed how ecstatic he was that she went public with their relationship. Writing on Facebook, he said, "Wagas ang kilig ko, love! Parang kakasagot mo pa lang sa akin! I love you now and forever!" He also posted on Instagram, where he wrote, "Love, hindi lang ako kinilig ng slight, kun'di hanggang langit ang kilig! I love you now and forever." The young actor-politician has been very open in sharing pictures of them together on Instagram.